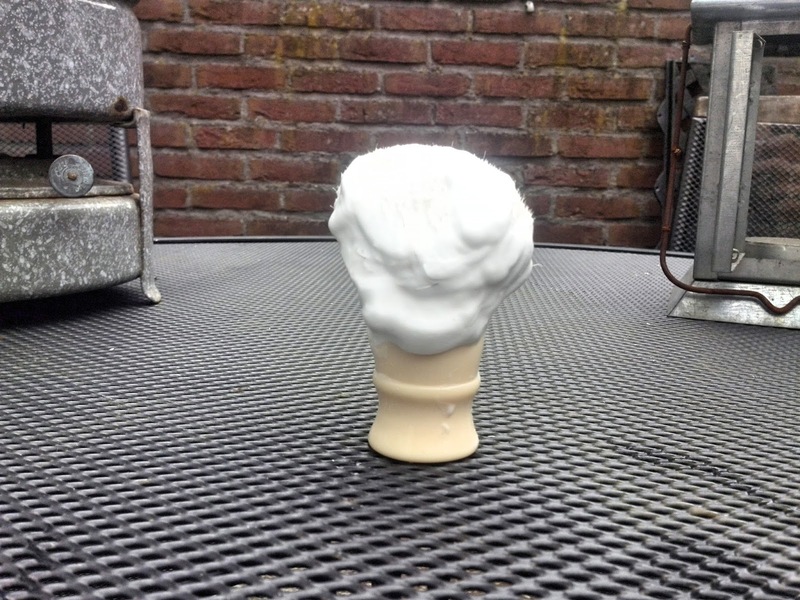 I have already written about this menthol shaving cream from Great Britain once before on my Dutch shaving blog, however I was planning for quite a while to write a new article about this shaving cream. The Ingram Shaving Cream is produced in the United Kingdom by Lornamead which is owned by the Li and Fung group. By the way this is one of the oldest brands in the United Kingdom where you can still buy the shaving cream from. The Ingram Shaving Cream comes just like most shaving creams in a cardboard box containing the tube of shaving cream. The tube of the Ingram Shaving Cream does however resembles a tube of toothpaste, thanks to the white colour of the tube. On the packaging you can actually find instructions for using this shaving cream, and in my opinion these instructions are quite good and I personally also follow these instructions when using this shaving cream. The Ingram Shaving Cream contains besides menthol also woolfat and this ensures that the skin feels soft after shaving and doesn't dry out. I find the performance of this shaving cream personally very good, and the shaving cream ensures that the safety razor glides smoothly over my skin and also protects the skin good. However I have to use quite a lot of product so that I can whip up enough lather for a two or three passes shave, but I personally don't mind that really. Thanks to the menthol in the shaving cream feels this shaving cream really cold and that gives a slightly feeling like your face becomes numbed. Personally I find that this shaving cream feels colder to the face then the Proraso Green Shaving Cream. The scent I find hard to describe, but it smells clearly minty and fairly classic and in the beginning I had to get used to the scent, but I find the scent really relaxing. The Ingram Shaving Cream is sold in the United Kingdom at Superdrug for £ 1,79 and if you are located in the USA then you can buy the Ingram Shaving Cream online from West Coast Shaving for $ 5,00. The Ingram Shaving Cream is the coldest menthol shaving cream which I've tried so far. 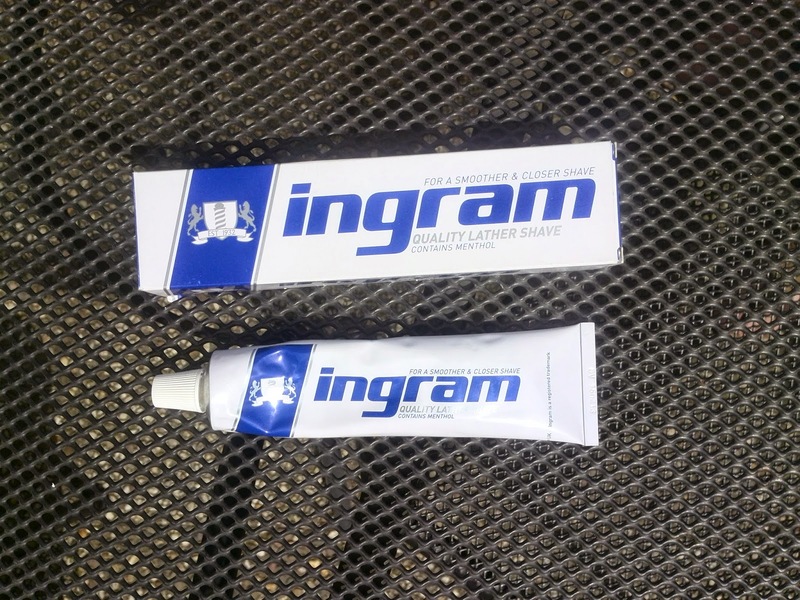 Personally the Ingram Shaving Cream is one of my favourite shaving creams, and especially during the hot weather I like to use the Ingram Shaving Cream. Furthermore, I am very satisfied with the performance and scent of this shaving cream, and I find that this shaving cream offers a very good value for money.